ØL in Town! A Tap Takeover by Oslo Brewing Co. 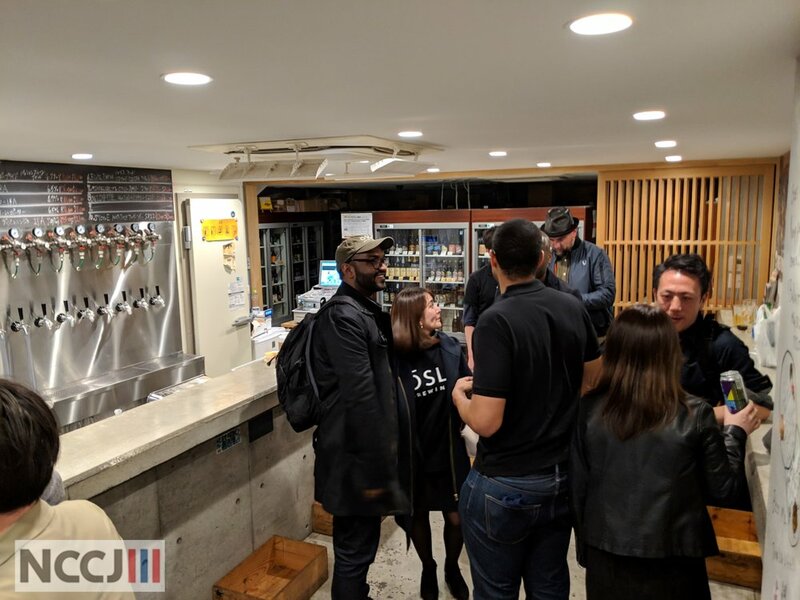 This week the founding fathers of the NCCJ Corporate Member company Oslo Brewing Co., Mr. Steffen Mussche-Johansen and Mr. Dimitri Yogaratnam have been in town in relation to the 3 year anniversary of their bar ØL in Shibuya. During the stay they have been executing various tap takeover events at local bars around the city with their craft beer successfully introduced to beer lovers all around Tokyo. Our ED Anette Yamamoto-Hansen joined them for a tap takeover at Beerma in Kita-Senju where one of the highlights of the night was a ceremonial signing of the bar’s wall by the two founders. 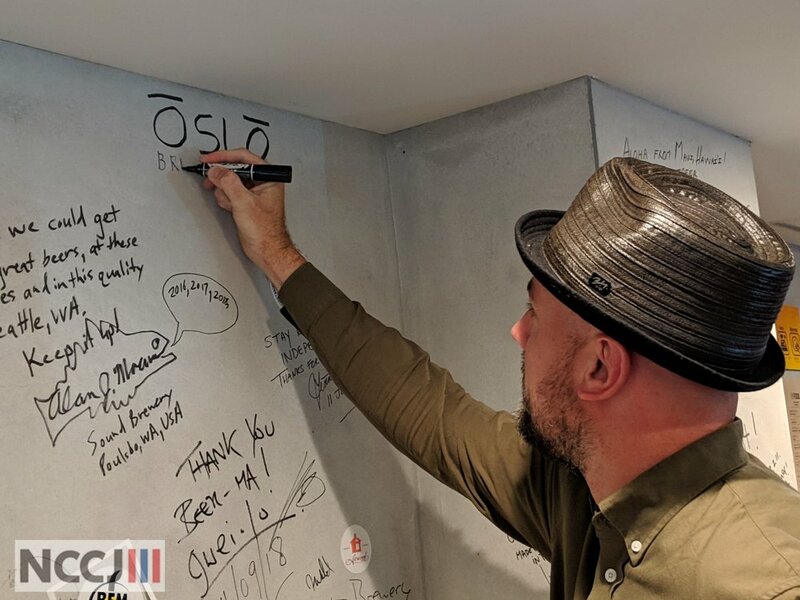 With the slogan “Beer for the world’s best city” (“øl for verdens beste by”) the two founders have achieved a lot since Oslo Brewing Co. was established in 2015, and we are eager to see more ØL bars open up throughout Tokyo in the upcoming years. Rumor has it that a bar in Kichijoji might be first up on the horizon. We hope to be back with more! ➡ NCCJ Club Evening: Taco Tuesday @ ØL by Oslo Brewing Co.